After being inspired by Ashes: Rise of the Phoenixborn and taking a hard look at all of our token lines, we asked ourselves a question that has been slowly marinating for years. Fully compatible with Ashes but also aimed at pretty much every magical universe, Arcane Tokens are the answer to this question. 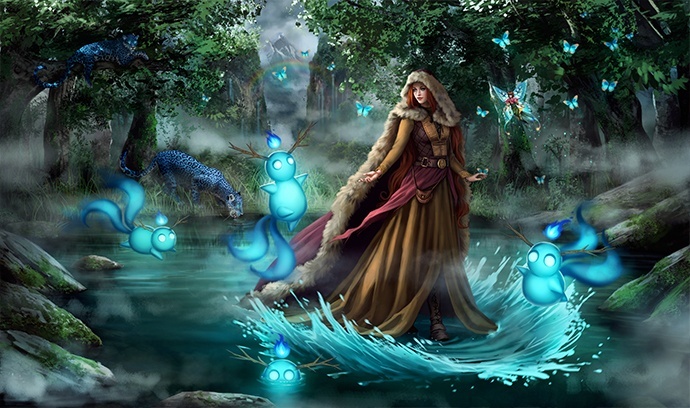 Magic, at its best, is about mystery. It inspires us and intrigues us because it seems so close, so possible, if only we could break through for a moment. Magic insists that there is more to life than consistent, predictable laws binding reality in a tidy little bow, and that if we just look hard enough we will discover the power that has been whispered about since the beginning of human history. That possibility is why so much of our industry revolves around magical concepts. It is the frontier that all of our imaginations have pondered since that first read of Lord of the Rings, that first playthrough of Might & Magic, that first big box Dungeons & Dragons campaign. Every Arcane Token encapsulates this kind of mystery by utilizing double-sided paint fills and fluid-yet-geometric designs that complement each other. We doubled down on the parallax concept first explored in our Data Token line by creating patterns that achieved the holographic effect regardless of the side being viewed. Because of this method, Arcane Tokens do not have a proper front or back even though there are different designs on each side – and that is pretty mysterious. 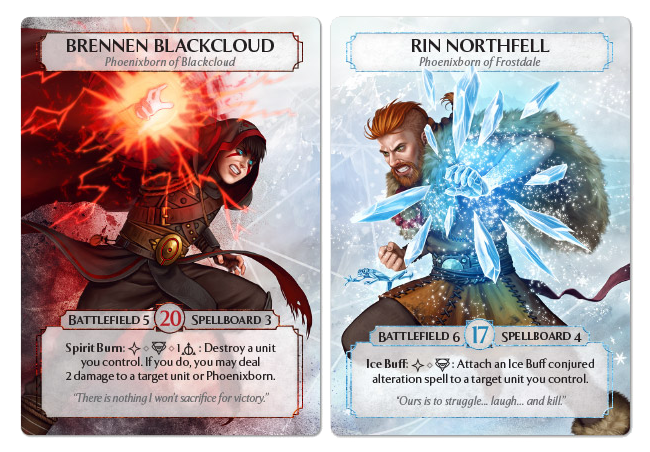 The Arcane Token Set includes Exhaustion Tokens, Damage Tokens, Status Tokens, and a First Player / Initiative Token in quantities that we tweaked to be ideal for most every type of Ashes player, but each token is also available in single packs for those who need more or who only have their eyes on a specific token. You can find out more by visiting the Arcane Tokens page, which includes a video overview and specific details about each token. If any questions, shout at us via our Contact Page! Huge thank you to those who purchased these at the Ashes Weekend pre-release and to Plaid Hat Games for the support! We are excited to get them out into the world and in the hands of all types of players. Be sure to let us know what you think via social or here on this blog! Friday at 5PM, we open the doors and kick off an incredibly exciting weekend at Covenant Tulsa with special guests from Plaid Hat Games! We will be streaming live via our YouTube channel and will be recording and posting plenty of content from the event! Keep it locked with us and catch the schedule below! 5pm-11pm – The first two expansions will go on sale a week early for the first time, the store will be available for gaming, and Plaid Hat and TC staff will be in the house! 8pm – Live Panel – Hang out and watch as TC interviews Plaid Hat Games, live! Q&A will be at the end of the panel, so come ready to ask questions! 11am – The swiss tournament begins! Deck lists and registration by 10:45am. There will be a dinner break between the Swiss rounds and the top cut. The top cut will be held in the Covenant Studio and live streamed, so those that do not make the cut can watch the game live from the store! 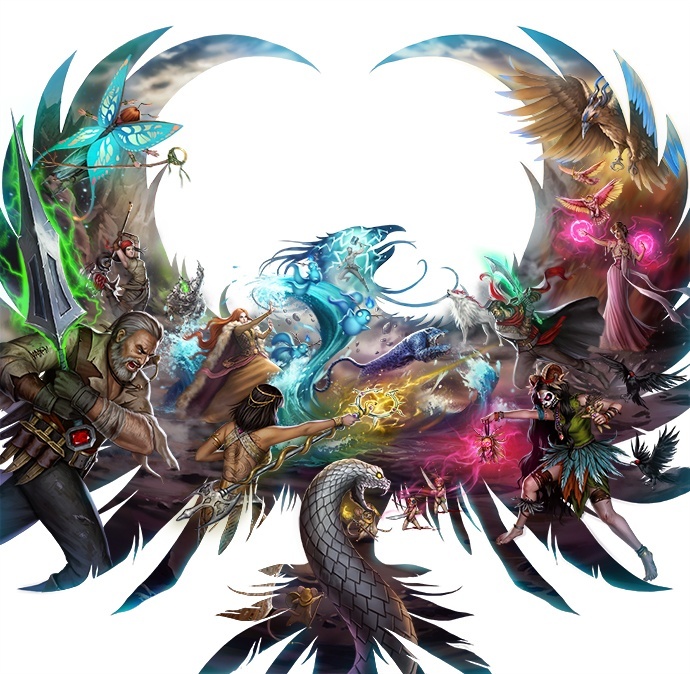 Upon arriving, each attendee will receive Alt Art Mist Spirits, a signed copy of Rin and Brennen Fight Print, a promo Lulu Phoenixborn, a promo Dimona Phoenixborn, and a Plaid Hat! When we first saw the box for Ashes: Rise of the Phoenixborn at GenCon this year, we immediately took note and added it to our short list of titles worth serious consideration. Any company that cares enough to produce a game as stunning as Ashes – from the box, to the inserts, to the cards and components – likely cares deeply about every other facet of their business. Having already known the beauty of Summoner Wars and observing the culture of Plaid Hat Games over the past few years, we knew that this game was worth every bit of our attention. On October 1, 2015, we officially added it to our line of supported games, began selling Ashes products, and added it to our Covenant Subscription service. We started hosting monthly Ashes tournaments at Covenant Tulsa, archiving the streams on our Watch page, and added the game to our in-store league. And now, it is time to kick things to the next level! Ashes Weekend is a joint event between Plaid Hat Games and Team Covenant, featuring the amazing people behind the game, early Ashes products, stunning alt arts, and exclusive prizes. It is designed for both the laid back and competitive player, with only one goal: celebrate this incredible game. Registration: Open now, limited spots – Register on our store! Isaac Vega | Lead Designer | Watch Our GenCon Interview! Fernanda Suarez | Lead Artist | Watch Our GenCon Interview! 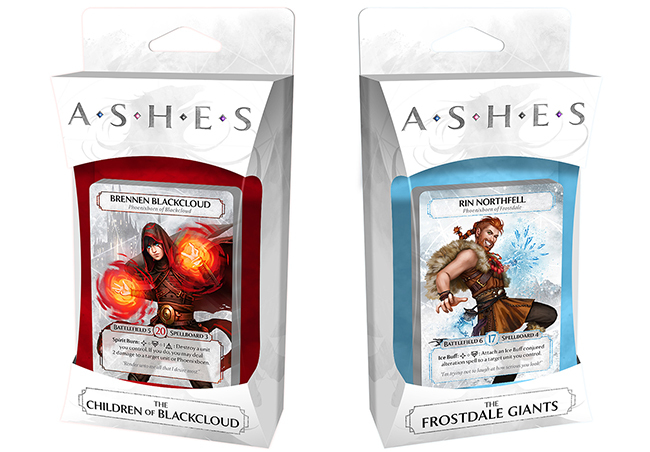 Early purchase option for both the Rin Northfell and Brennen Blackcloud expansions. We will have them in-store! They will be usable in the Saturday tournament! Friday: The store will be filled with the great folks from Plaid Hat, who will be playing games, giving autographs, and participating in a live-streamed Q&A panel. Join us for a wonderful, chill evening with some of the best people in the business. Saturday: All day Ashes with Plaid Hat in the house, featuring casual games all day and a big tournament (the expansions will be legal) to heat things up! Random participation prizes throughout the day include playmats, alt arts, and tokens, while tournament prizes include Top 8 alt art Bren & Rin cards, exclusive Top 8 playmats, exclusive Top 4 alt art prints, and a trophy and custom deck box for the winner. Live stream will be going strong all day on our YouTube channel! This weekend is going to be pure fire! We cannot stress pre-registration enough. Save your spot before showing up, as we will have a (very) full house! More information to come as we get closer to the event. Special thanks to Plaid Hat and to all of the Ashes fans out there who recognize the beauty! See you in April! The first expansions, available early and tournament legal! Without a doubt one of the most striking releases at GenCon this year was Ashes: Rise of the Phoenixborn. That first glance of the box immediately caused eyes to widen, and it seemed the game could be quite special. 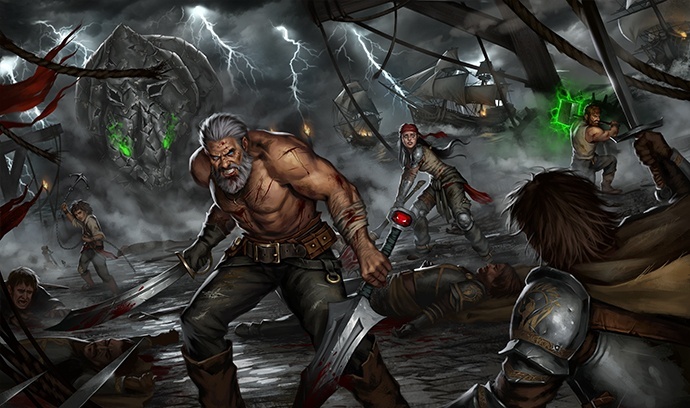 We were fortunate enough to have a chat with Isaac, the game’s lead designer, and Fernanda, the mastermind behind all of the unbelievable art, after which we bagged a few Master Sets. Once back in Tulsa, we sat down to find out if Ashes could hold up to our admittedly high expectations. After much playtesting and discussion, we are thrilled to announce that we will be selling and supporting Ashes products both locally and online, and adding Ashes to Covenant Subscriptions! 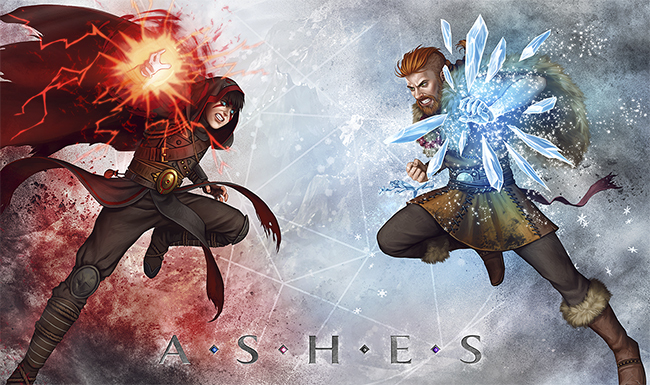 Ashes is a head to head game that pits Phoenixborn (think awesome wizards who can use various schools of magic) against each other in contests of conjuration. Your Phoenixborn summons creatures onto the battlefield and utilizes various spells and effects in order to deal lethal damage to any opposing Phoenixborn (yes, it can handle more than two players!). While this idea is not particularly new, the system that Ashes utilizes definitely is. This is not just another “play cards and turn them sideways” game. The system of rules that governs Ashes perfectly reflects the theme of the game, and, exceptionally, still allows for a huge amount of player agency. Plaid Hat is a great company. We have been interacting with them on and off since Summoner Wars, and on every level we have engaged them, they have impressed. Professional, talented, innovative, and in this space for all the right reasons. The theme of Ashes is nothing new, but it has never been so beautifully achieved. 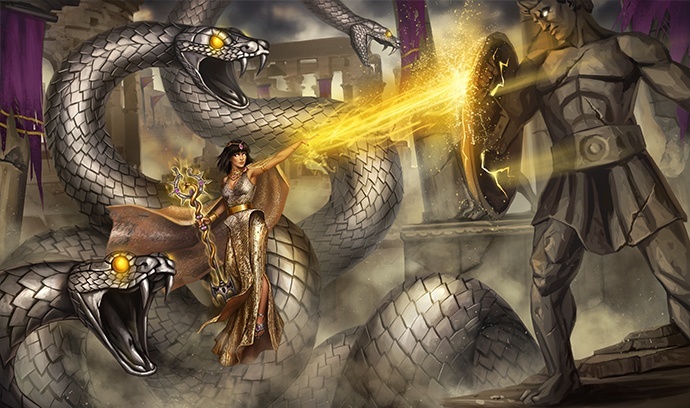 From the art, to the “schools of magic” dice, to spellbook construction, to the conjurations themselves – every game throws you into one of the coolest, wildest wizard battles imaginable, where your success depends on outwitting and outplaying your opponent. The ruleset is minimal and clean. Each player simply takes a single Main Action and optional Side Action during their turn, which makes it easy for new players to dive in and digest the basics. But as turns pass back and forth, the depth of the game springs forth. Through multiple turns, you must set up complex attack vectors and threaten attack windows before the action even starts. While it is an overused analogy, the comparison to Chess is apt – by threatening lines of play and forcing your opponent out of position, you can steal the advantage before any attacks are made. It feels a lot like Netrunner, too, because there is a ton of freedom in the action system. 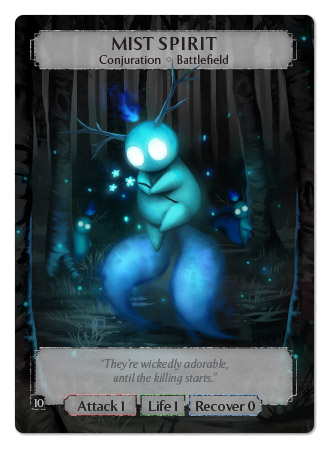 It’s an EGS, which means it is non-collectible and has a release schedule like the Living Card Game / Expandable Card Game offerings that we support. This model is definitely the way of the future, and it makes it easy for us to slide it into our preexisting systems. You choose your starting hand. You can draft it. Like, in a real way. To get started with Ashes, pick up a Master Set (only one is needed to get all of the cards). Then, subscribe to Ashes via Covenant Subscriptions to get every release as it hits! Subscribe to our YouTube channel and connect with us on Facebook, Twitter, and Instagram so you never miss Ashes content. Check out Plaid Hat Games and connect with them on Facebook and Twitter. If you’re around Tulsa, come into our store and get a demo! We love sharing new games with our customers and fans, and still fully believe that a curated tabletop experience is the best way to expand and improve the industry. A huge thank you goes out to everyone across the world who purchases our products and subscribes through Covenant Subscriptions. We could not do this without you. If anyone has experiences with Ashes that they’d like to share, leave a comment or hit us up on social!